When pursuing an opioid death or overdose case, time is of the essence. Families who wait to pursue a potential claim may do so for a number of reasons. Burger Law has compiled a list of the Top 10 Mistakes Made in Opioid Overdose Cases. The attorneys at Burger Law have successfully recovered millions of dollars to compensate injury victims. 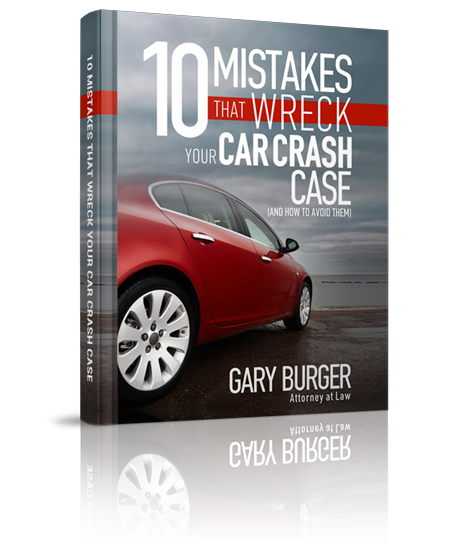 Gary Burger and other lawers at his firm are experienced in winning injury and wrongful death cases involving product liability, negligence, consumer fraud and injuries and addiction caused by the negligence of doctors and pharmaceutical or drug manufacturers. If you’ve or someone you love has fallen victim to addiction, dependence, overdose, or death because of prescribed opioid medication, allow Gary Burger and associates to represent your case. The statute of limitations period for medical malpractice and products liability is typically set by the state where the malpractice occurred. In Missouri, the statute for medical malpractice is typically 2 years. The products liability statute of limitations is 5 years in Missouri. It’s important to actively participate in your healthcare by asking your doctor questions. Sometimes patients feel intimidated by their doctor or they assume that their doctor always knows what’s best. But if the doctor is making decisions that are not in the best interest of the patient, then this can have devastating results. Sometimes patients realize that the doctor was overprescribing opioid medication and they want to hold that doctor accountable. But it’s also important to realize that drug manufacturers who failed to adequately warn patients of the addictive potential of opioid medication should also be held accountable for profiting from millions of uninformed or misinformed consumer-patients. Not every lawyer is prepared to take an opioid case. It’s important to find a lawyer who knows the relevant issues and can answer the important questions. At Burger Law, we are prepared to inform you of the strengths and weaknesses of your case. According to the CDC and the American Society of Addiction Medicine, “Drug overdose is the leading cause of accidental death in the US, with 52,404 lethal drug overdoses in 2015. Opioid addiction is driving this epidemic, with 20,101 overdose deaths related to prescription pain relievers, and 12,990 overdose deaths related to heroin in 2015.” American Society of Addiction Medicine. Sometimes the explanation for overprescribing patients is as simple as dollars and cents. The more required patient visits for opioid prescriptions, the more revenue doctors will earn. Opioid dependency doesn’t usually stop with prescription medication. The greater the addiction becomes, the more likely a patient will seek dangerous alternatives- this can lead to experimentation with opioid substitutes like heroin. Just because the FDA approves prescription medication for distribution to consumers, does not mean that the medication is entirely safe or that it cannot be abused. Once dependency on opioid prescriptions has developed, patients often convince themselves that other treatment options are unavailable or unable to relieve them of their symptoms. Most doctors are responsible professionals who look out for their patients. But doctors are people too, and people can make mistakes. When given an opinion or diagnosis from their primary care doctor, patients won’t always seek out a second opinion for serious pain related symptoms. 1. American Society of Addiction Medicine. If your doctor has prescribed you or a loved one an opioid medication for a prolonged period of time to treat pain, and especially chronic pain, you may have a claim for consumer fraud, medical malpractice, product liability, a Merchandising Practices Act claim, negligence, or wrongful death. Some of the most common opioid medications prescribed for pain are fentanyl, oxycodone, hydrocodone, codeine, morphine, or methadone. Some of the common brand names are Vicodin, OxyContin, Percocet, Hysingla, Butrans, Duragesic, Nucynta, Opana. To get started on your free case evaluation, contact the personal injury lawyers at Burger Law by calling (314) 542-2222 or completing our online contact form. You can also view more information by visting our Opioid Death Lawyer website.